We offer a superior range of Laser Die Making Machine to our clients, which is especially designed and suited for cutting laminated board. Our range is widely employed in cutting of wood, plastic, leather plexiglass and acrylic. 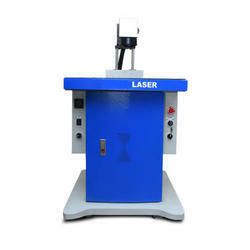 Our organization offers an exclusive range of Laser Die Making Machineto our clients at reasonable prices. These are sourced from Yueming and are widely applied in the processing of dieboard in modern industry, color box, electronics, light industry. It is also ideal for the cutting of thin mental sheets such as carbon steel, stainless steel, aluminum alloy; for the cutting of thick non-metal sheets, such as acrylics, rubber board, compound material board. KYM-1218 laser cutting machine of constant light is tailored for the cutting of steel board and other heavy metal plates. With stable base but agile body, this machine can work 24 hours continuously, surpassing the traditional cutting greatly in both efficiency and quality. Yueming’s high quality products enjoy high performance ratio, and there will be always one tailored product just for you, helping you survive and win in the fierce competition. It is designed on the principle of constant light. Its laser power would not be affected by the distance of optical path, which ensures evenness and consistency of the cutting. Our range configures high quality axial flow CO2 laser generator. The laser beam is generated from laser generator, and focuses on the cutting head after the transmission and treatment of optical path, and cuts both mental and non-metal sheets on the driving of precise CNC turning machine. The control software of this machine possesses the function of auto programming, optimal layout of CAD/CAM on windows operating system, and can identifies various CAD graphic files. Users can also establish their own cutting process database, and select the proper processing program from the database directly in case of need.